Need to Make Your Magic Mouse More Comfortable? If you have had problems with Apple’s Magic Mouse causing fatigue you may want to try this. I haven’t had too much of a problem but I think I will give it a try. The cost is reasonable ($12 at the time of this posting) and it may give me more comfort while working so why not. After receiving my MMFix I tried it and while it does improve the feel of the mouse mine keeps coming off. This may be just a defect in my particular MMFix? I’m sure that the guy that designed and sells the MMFix isn’t trying to rip people off and if it’s not just that mine had a defect and he receives more reports of them not staying on he will improve the design. I feel that he’s the type of person that really just wanted to solve a problem and share the solution with others. MMFix has contacted me and said that there was a batch that didn’t suction correctly and that a new MMFix has been shipped to me. Click photo above or here for link to mmfixed site. One of our most challenging 360 panoramic shoots yet. We have been hired to do panoramics in airplane cockpits. Although these shoots are more difficult I like shoots like this because of the problems to solve. There’s something really rewarding about troubleshooting shoots like this and getting the captures we need! I know there will be more post processing when doing these type of shoots but I also enjoy troubleshooting on that end of things. 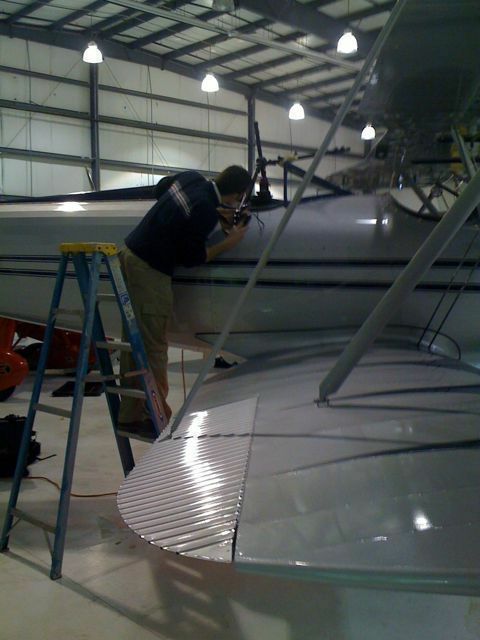 We will be going back for more shoots and may be doing a timelapse of the building of a airplane. Maybe some aerial shots in the future also? 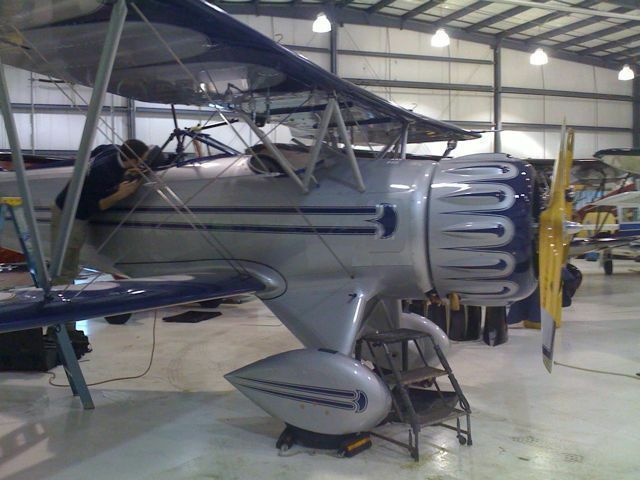 When this project is done I will post the aircraft companies name and web address. Check out some of our high quality full screen 360 degree panoramics at our site! We will be updating our site with many more of our panoramics hopefully soon. Stay tuned, we may have some exciting news on this project in the future! Note – Photos below were shot and uploaded with my iPhone so quality may not be great. If I get time in the future I will post higher quality photos from a real camera. Also I am posting this from my iPhone to try out my WordPress iPhone app. A Wireless Mouse for Graphic Designers! I have tried wireless mice before and they have never worked for me for design work, just too much lag or inconsistent performance when doing intricate Photoshop or other similar work. I have been waiting for Apple to design a new mouse that takes care of the Apple Mouse (previously Mighty Mouse) track ball gunking issue. I love the way the Mighty Mouse works when the track ball isn’t having issues but if it’s been a while I know the frustration is coming soon. Well then Apple came out with the Magic Mouse and it is Magic! I bought one Friday at an Apple store after making sure I could return it if it doesn’t work for my design needs and was assured there is a 14 day return policy. As soon as I arrived home I set it up and downloaded the driver update. I then cranked up Photoshop and low and behold the Magic Mouse works great! Finally I’m completely happy with my mouse and it’s even wireless. I was beginning to wonder if anyone would ever come up with a wireless mouse that is useable for Graphic Design. The purpose of this post is to inform others about a wireless mouse that in my opinion works for design work but I’m also liking the functionality of the touch sensitive surface and gestures. Mamiya Two DSLR Med Format Cameras- affordable? Looks like medium format digital cameras may be easing slowly into the somewhat affordable range. 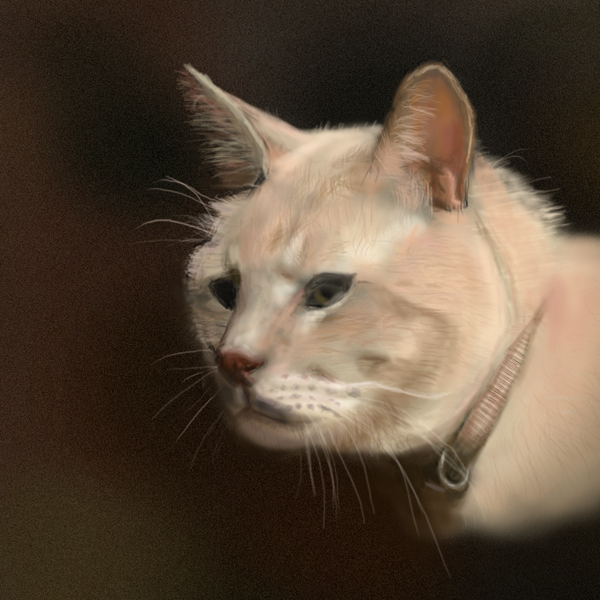 This is one of my first digital paintings with a Wacom tablet. I have a Wacom Intuos 6×11 right now but soon I want to get a Wacom Cintiq 12WX. A full sized sensor in a point and shoot sized camera. The Sigma DP1 has a full sized DSLR Foveon X3 full color sensor. It should be able to produce higher ISO lower noise pictures than other small digital cameras. The DP1 site also says that they have produced a very high quality lens for the camera. The price has been reported at $999 US. Reportedly available in Spring 2008. Come on Canon do this with the G 10! colormunki is a color tool from X-Rite and Pantone which will profile your monitor, printer and projector and integrates with design applications to capture and create color palettes. You can capture colors from photos and anything that you can scan over with the device. Price is $499. Check it out it looks cool.